Gone are the days when learning English was not easy for housewives. It’s the time when you can learn it while sitting at your home. Be it a social gathering, parent-teacher meeting, or your husband office party, speak English confidently and leave an ever-lasting impact on individuals around you. Our online classes allow you to have a command over the English language easily and that too while dealing with your household chores and without going to training centers at odd times. Our experienced trainers help you build powerful vocabulary and learn sentence formation in just simple talks, enabling you to connect with the outer world well. This will surely make you a more efficient home manager. We often hear this quote in various opening sessions at women empowerment programs, and to start here, nothing could be better than this quote. The predominant patriarchal system had snatched away the right from women to study and be independent. But, this era is changing. Women are found pursuing their careers, living their dream and making themselves independent. Women are getting empowered by their peers and learning, strategizing, managing home and work and are living their lives as an equivalent to men. Homemakers are no less; they are finding for themselves opportunities to utilize the 24 hours they get to the maximum. To be apt and future ready, learning the basic skills is mandatory as well as important. To educate a mother or simply a homemaker can reap positive benefits and effortless training. Skillset can be of utmost importance so are the interpersonal and intrapersonal skills. The way you communicate, the ways you engage with people helps you in attracting many eyes as well as add something to your portfolio. Homemakers can open various doors for themselves by learning how to interact and make the communication effective. Adapting and learning English in their daily routine can help maintain and shape their personalities which in turn can make their lives easy. Use of technology for mundane tasks can help you reduce your effort and time allocated to it. Those days are gone when learning English required going to classes, travel, and writing notes as well. In this automated world, just one click and everything is sorted. Learning English Speaking for Homemakers has become an affordable and leisure affair. At the comfort of your home and while juggling between household chores, learn the basics of English from the experts teachers of WizMantra. 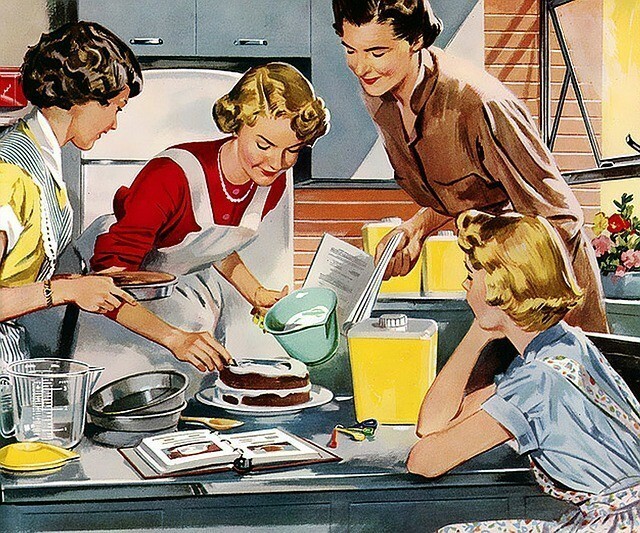 A specially designed course for housewives, it caters to strengthen your roots and provide you with a good knack for English at the end of the course. Make an outstanding impression on your friends, family, neighbors, and every other person you meet. Whether it is a social gathering, parent-teacher meeting, or your spouse’s office party, speak English confidently and fluently leaving the crowd flabbergasted by your impeccable English communication skills. Join in the clan of enthusiastic and prolific mentors who provide their best of services to make you excel in your command over the English language. From building a powerful vocabulary to forming sentences easily in English, the training is intended to make you an ace English speaker. Implementing the strategies the mentors suggest and working towards completing the assignments and worksheets shared with you can help you learn English at a faster pace. Nothing is hard for a woman who manages everything on her own. Breaking the stereotype and unraveling the notion of being called the underdogs, you, the women at home the homemakers are the ones who defy the odds and rise against them while surprising the naysayers. Make yourself proud, Learn English and amaze everyone with yet another feather in your hat!